And then there were four. After four fairly uncompetitive divisional series, we know who the four Major League Baseball teams are who will battle it out for the right to play in the 2018 World Series. The Los Angeles Dodgers and Milwaukee Brewers will start things off in the NLCS on Friday, October 12 while the Boston Red Sox and Houston Astros will begin the ALCS on Saturday, October 13. This is also about the time when the casual baseball watcher really starts to tune in. They’ve been on the periphery for much of the season but now that it’s crunch-time they’re about to start paying attention and developing their rooting interests. For them, we wanted to take a look at each remaining team to help them determine who the “good guys” are, who the “bad guys” are, and who they should be rooting for to hoist the world championship trophy at the end of October. Here they are, from least likable to most likable. Whatever Red Sox fans think the New York Yankees are is what they actually are now. They are the Big Red (Sox) Machine. They are three World Series titles in the last 15 seasons, one of only two teams to do so. They’re routinely one of the favorites to win it all. They spent this entire season as the objective favorite and best team in baseball, finishing with 108 wins. They’re so good that their local paper tried to give them any excuse they could find just in case they fail to come through in the end. In short, they are playing the role traditionally played by the Yankees. Or the Dallas Cowboys. Or Duke basketball. They are expected to win. They are supposed to win. And that’s why we don’t want them to win. It’s a credit to how dominant the Red Sox are that they’re less likable than the team that went out of its way to pick up an alleged domestic abuser during the season to bolster their bullpen. But that’s what the defending champions did back in July when they traded for Robert Osuna, who was serving a 75-game suspension for domestic violence at the time. His suspension is over and the charged were dropped last month when the pitcher agreed to a “peace bond.” The team and the player both have tried to move past it and sweep it away but opposing fans aren’t letting him forget about it and that’ll probably continue in Boston. Anyway, if you want to root for that…that’s on you. The Dodgers aren’t all that “likable,” per se, but they just win-out by comparison. While they are one of MLB’s signature franchises, they do have something of a chip on their shoulder than somehow makes them rootable. Remember how, in the 80s and early 90s, the Houston Oilers were always really good but never quite good enough to make it to the Super Bowl? Or how Domonique Wilkins’ Atlanta Hawks were always in the playoffs but forever overshadowed by Bird’s Celtics or Jordan’s Bulls. That’s what the Dodgers have been dealing with in recent years. They’ve routinely been one of the best teams in the league, winning 90+ games every season since 2013, but they’ve only made it to the World Series once (last year) and they lost (to the pre-abuse Astros). And considering how poorly this season started, it’s a bit of a miracle they’re even here. They’re going to run out of steam eventually so there’s a desperation to this run that makes them somewhat endearing. Somewhat. They’re still from LA, you know? If there’s a feel-good opportunity to be had in the coming weeks, it would have to be if the Brewers make the World Series. In the annals of worst or most-snakebitten MLB franchises, the Brewers aren’t at the bottom (they did go to a World Series once) but they’re not that far off either. The franchise has an all-time record of 3,801-4,136, which gives them a winning percentage in the lower third. They are one of only seven current franchises to never win a World Series and two of those didn’t even exist until recently. That lone appearance was way back in 1982 so that barely even registers anyway. This current run is their first playoff appearance since 2011 and only their third since 1982 (looks like that offseason spending paid off). 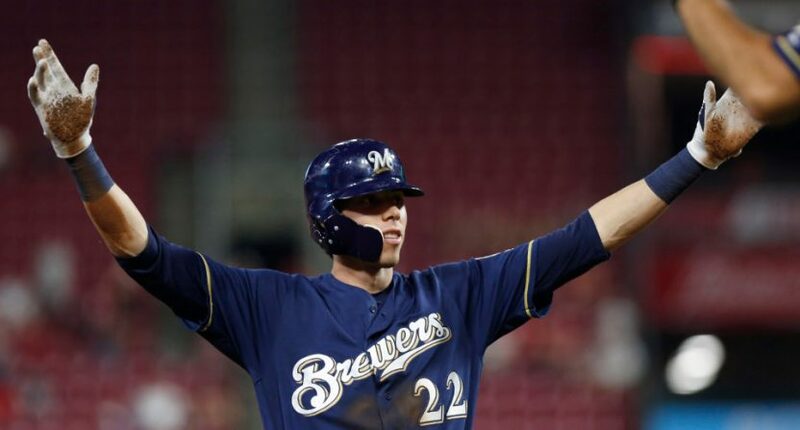 By every conceivable measure, casual fans should be pulling for the Brew Crew in October. Anything else feels like frontrunner-ism.